The clock is tearing itself through the calendar and there is only a week left before Team America's ARK Design BNR32 is scheduled to be loaded into a shipping container bound for Australia. Eric and the crew are determined to make it but personally I have my doubts. I have never seen a car this complex be built in such a short time for such a low budget. A crack allstar industry crew of volunteers was swarming over the car which included guys like Gary Castillo, Eric Hsu, Tyler Hara, Ken Anderson, Peter Yeung, Brian Bridges, Hung Huynh, Kyoung Choi, Len Higa, Steve Mitchell, Kenji Sumino, Ben Schwartz, Katsu Hibio and probably a few others I don't know about. This is being written during the car's final push, by the time you read this, the car will have been shipped. I was not around for it being involved myself with prepping two cars for the Falken Drift team heading for The Wall, New Jersey so there will be more updates to come still, probably by Eric. Read More about Team America Here! 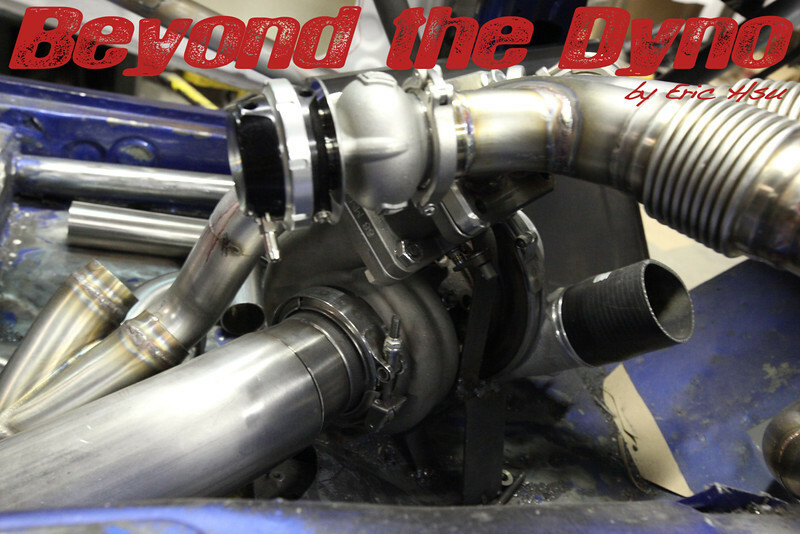 The next thing was to dress the Cosworth engine to get it ready to install in the car so that fabrication of the turbo system could start as well as the plumbing. 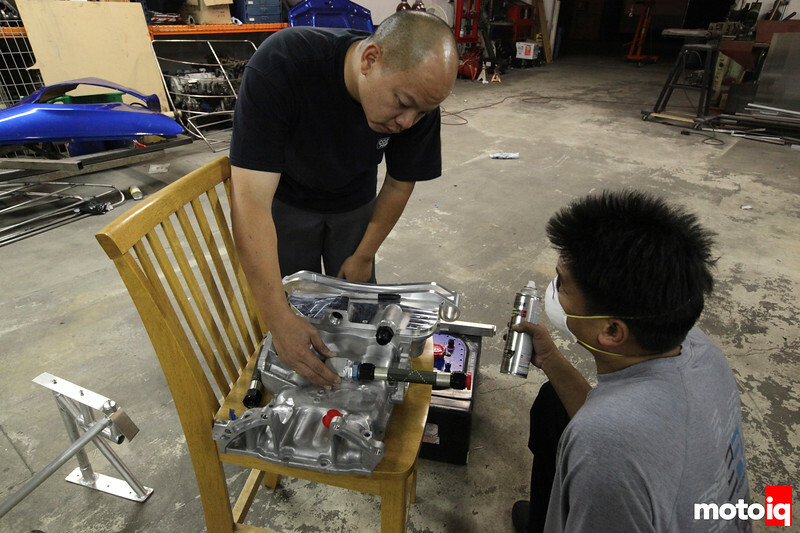 Here Eric discusses with Gary over how he wants the VQ35HR's upper pan to be modified to work with the dry sump system. It was quicker to weld in the pickup to the lower pan rather than re-machine a new one so that was done that way. Eric prepping the upper pan for another scavenge pickup so Gary could weld it in. Gary about to lay down some beads. 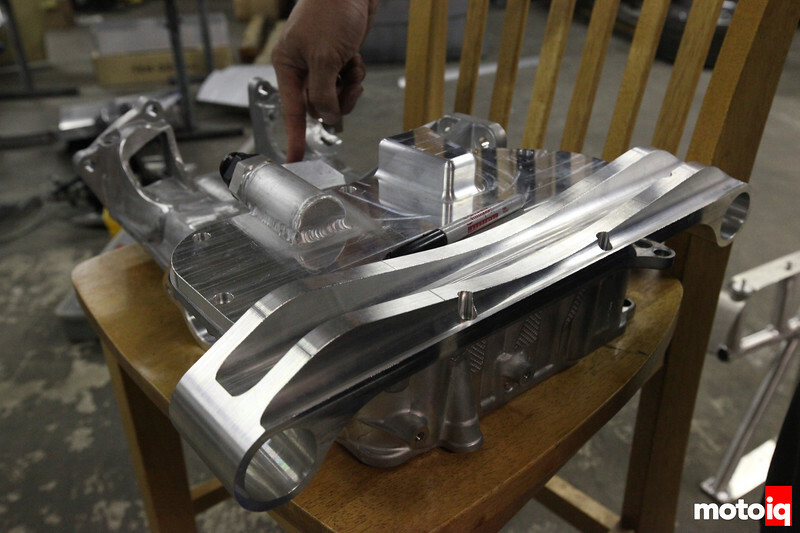 It is kinda hard to lay down a clean weld in an aluminum casting due to the porosity. A used part that has been exposed to oil is also hard, the oil gets into the pores and contaminates the weld a little. Welds can be strong but they won't always look pretty.